Marine Sgt. Michael C. Roy - Run for the Fallen New Hampshire, Inc.
25, born in Candia NH; killed in action during combat operations in Nimroz, Afghanistan. He enlisted Sept. 25, 2001, two weeks after the Sept. 11 terrorist attacks and often talked about stopping terrorism, al-Qaida and Osama Bin Laden. “He wanted to protect his country and wanted his children to grow up without war,” said Julie England, a longtime neighbor whose children befriended Michael. England also served as Roy’s home-school teacher for ninth grade. Michel and his wife, Amy, had three children: Olivia, Mikey, and Landon. After Mikey was born, Michael planned to stay home for a year after his third tour of duty. He was in Afghanistan when Landon was born, but his father said the military granted him a one-week release to visit his newborn. Michael was a graduate of Academy High School in Fort Myers, partaking in its accelerated program that allowed him to graduate in 2001 at the age of 17. Three months later, he enlisted with the full support of his father. 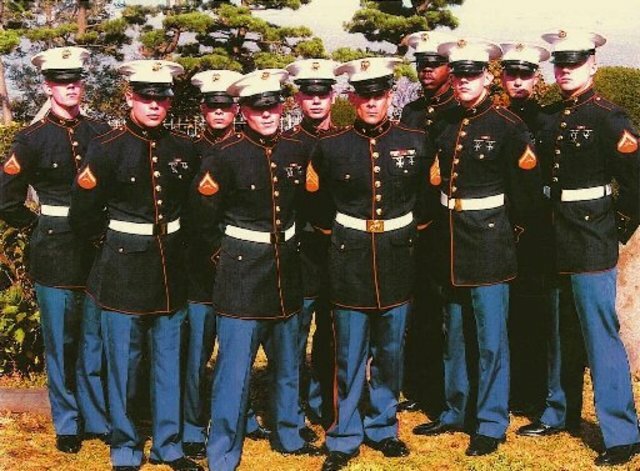 Michael joined the Marines very young, with nearly eight years in already at the age of 25. His decorations and his rise through the ranks tell us he served his country competently and well. His joining the Marine Corps Forces Special Operations Command shows he had no fear. To become a MARSOC member, Michael had to undertake and complete Special Forces training designed to "enable him to function in remote, ambiguous and complex environments with limited support," according to the special unit's website, which also outlines core duties that may be assigned. Those duties include training and assistance to foreign governments, security force assistance, special reconnaissance, counterterrorism and direct action, which the Corps defines as "short-duration strikes and other small-scale offensive actions taken to seize, destroy, capture, recover or inflict damage in denied areas." Michael died in Nimroz province in southwestern Afghanistan. Nimroz was an area of intense unrest where, in April, suicide bombers tried to kill an Afghan minister and killed three others instead. Fighting had been heavy there since the previous year and, according the news reports, the Marines had been heavily involved. Michael was killed by a sniper there during combat operations. He was on his third tour of duty, a week from returning to Camp Lejune. He was wearing full lead armor but the sniper's bullet pierced an exposed area below his helmet. 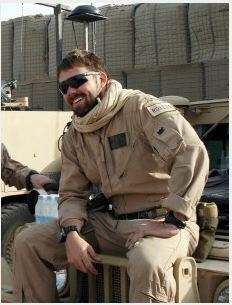 Michael was trained as a rifleman and was promoted to sergeant on October 10, 2005, joining MARSOC on March 15, 2008. His awards and decorations include the Navy Achievement Medal, a Combat Action Ribbon, a Navy Unit Commendation, three Navy Meritorious Unit Commendations, two Good Conduct Medals, the National Defense Service Medal, the Armed Forces Expeditionary Medal, and the Global War on Terrorism Service Medal, a Humanitarian Service Medal, four Sea Service Deployment Ribbons, and a NATO Medal-ISAF Afghanistan. On September 7th, 2009 he was posthumously awarded the Bronze Star with combat "V" distinction and a Purple Heart. Michael is survived by his wife Amy, his daughter Olivia and sons Michael and Landon Roy; his mother Lisa Hickey, father Michael Roy, brothers Richard and Joshua Roy, sister Christine Soucie and his extended family. With wife Amy, father, Michael and children Olivia, Michael and Landon. Above and below, with his lifelong friend Richard England. Above with father Michael and below with brother Joshua. Michael (far right) with brothers of the 3rd Marine Special Operations Battalion, Marine Special Operations Advisor Group, MARSOC.